All the ideas shared in this link party are DIY ideas from the new book by Sherry & John Petersik of Young House Love. I'm a huge fan of Young House Love and I received their book for my birthday. Not only is today's DIY idea inspired by somthing in the Young House Love book, but it also has to be insired by something I pinned from Pinterst. I am the the Pin Junkie after all! 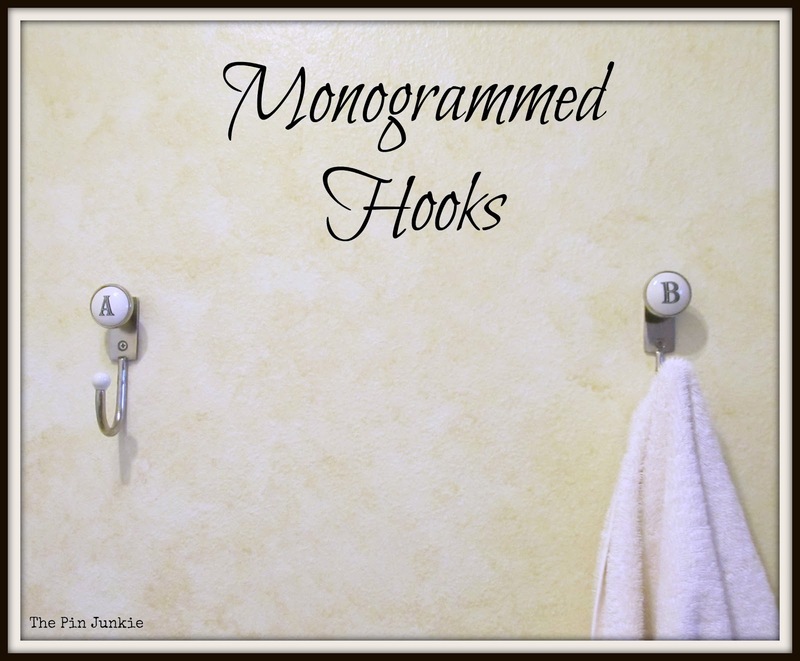 This is idea #93 on page 145 of Young House love - add function and syle with hooks. 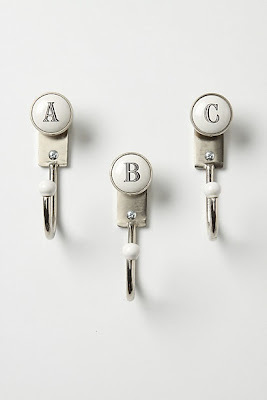 The idea also came from this pin pinned to my For the Home Pinterest board. I have a very small bathroom which means limited storage space. 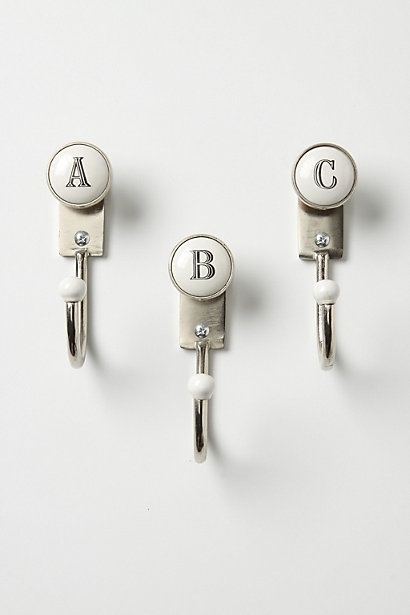 I love these vintage style monogrammed hooks at Anthropologie and they come in every letter of the alphabet. I bought two for $12.00 each and hung them in my very small bathroom with no storage. They're great for hanging towels and I love the way they add some vintage style in my bathroom. Super easy project too! I LOVE those Anthro hooks! We were just at Anthropology this weekend, and as usual, I was swooning over everything. This was a great way to spice up the bathroom. love it! I almost did this project for the link up as well, then I found those chairs. I'll do it sometime soon for sure :) Thanks for linking up.